As part of the Government’s Places of Change scheme, designed to improve the quality of homeless accommodation in the UK, Midland Heart’s £10 million Snow Hill project has seen the transformation of one of Birmingham’s largest supported housing schemes. Over half of the 92 self-contained apartments have been used to help those who are ready to move on from direct access accommodation to independent living. For a new, showpiece entrance and a series of internal doors, DORMA, the trusted global partner for premium access solutions and services, supplied and installed its KTV revolving door and five DORMA ES 200 automatic sliding doors. Designed by Hulme Upright Architects and built by main contractor Frank Haslam Milan, the project is being delivered for leading housing and care provider, Midland Heart in partnership with the Homes and Communities Agency and Birmingham City Council. Part new-build and part refurbishment of an existing 60 year old building, the Snow Hill provides ground breaking mixed use accommodation that will benefit individuals who have experienced homelessness and private renters seeking affordable city centre accommodation. During the creation of the building’s stylish new lobby area, a feature entrance that maximised the use of natural daylight was required. Having specified DORMA products on a range of projects in the past, Hulme Upright once again turned to DORMA for their proven product reliability. 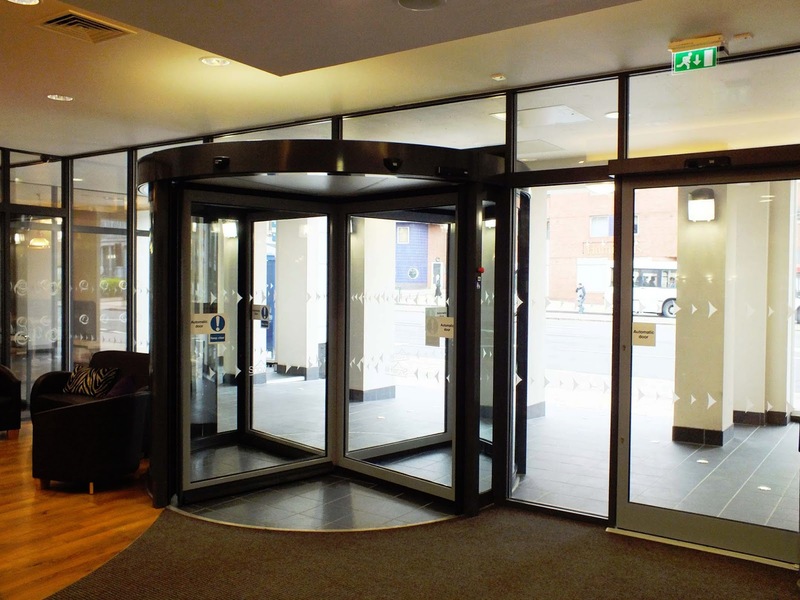 The elegant, functional and energy efficient DORMA KTV glass automatic revolving door provided the stunning finish to the new light-filled entrance and lobby. As part of the refurbishment, the building’s original structural columns had to remain. To accommodate this, DORMA installed the revolving door off centre alongside a series of associated fixed glazed screens to create the modern and minimalist glass frontage. 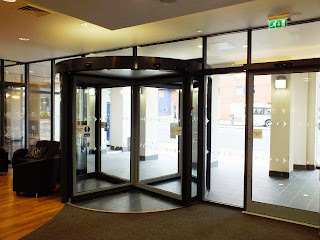 The DORMA KTV revolving door acts as a permanent lobby which keeps out noise, dirt and draughts – effectively separating internal and external environments. This helps to reduce the building’s energy usage, wastage and cost. To the side of this stunning revolving door, and in compliance with the Equality Act and Building regulations, DORMA also supplied and installed two DORMA ES 200 bi-parting sliding doors. Used to create an easy access pass door, the DORMA ES 200 offers a quick, smooth and virtually silent motion. With regular footfall expected throughout the building, including the main entrance, it was imperative that the most regularly used internal doors provided the same levels of safety, security and reliable access. For a series of doors on the building’s first floor, DORMA was appointed to install three automatic sliding doors. The DORMA ES 200 sliding door again proved the ideal solution. Designed to meet the requirements of almost every automatic sliding door application, the DORMA ES 200 is easy to install and quick to set-up. It features a powerful motor and a dynamic acceleration/deceleration control capability to ensure safe and reliable operation, matched by its stylish, clean design which complements virtually any interior design scheme. Now complete and provided a home to more than 100 customers, the Snow Hill project has transformed both the physical building and its service provision to create an innovative style of living. With a stunning new-look facility, including a state-of-the-art revolving door entrance and automatic internal sliding doors, the Snow Hill is redefining supported housing services in Birmingham.